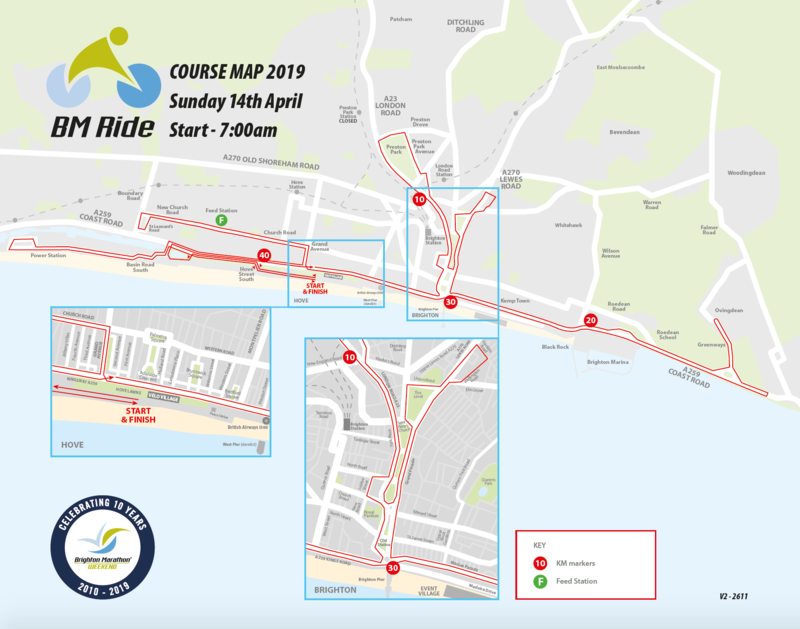 The BM Ride course is 50km in length and will take in all of the Brighton Marathon course, including Brighton city centre and the seafront. The 2020 course will be available to view closer to the event. If you think you will be affected by the route, please contact The Grounded Events Company by emailing office@Brightonmarathon.co.uk. Full traffic information will published late January / early February 2020.